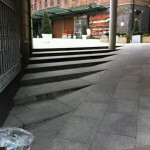 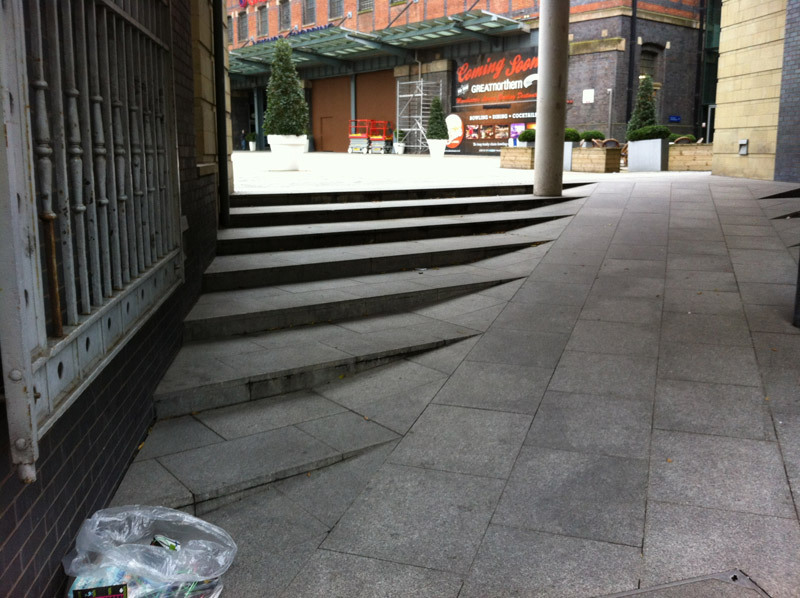 This large retail & leisure complex in Manchester was accessed through a decorative archway up an unusual set of granite steps. 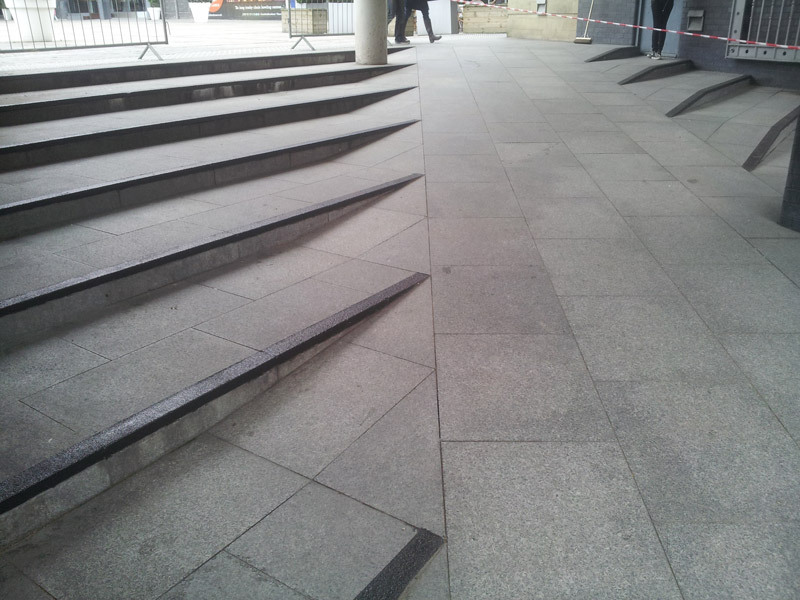 Non slip tread for steps were required, as it had been reported to the Facilities Manager that a number of pedestrians had lost their footing whilst on the steps due to the fact that the step edges were not highlighted. 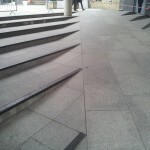 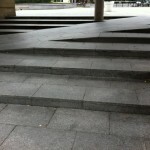 The visual aspect of the steps was also compromised due to the fact that there was a sloping ramp down the centre of the steps that was not clearly obvious to pedestrians. 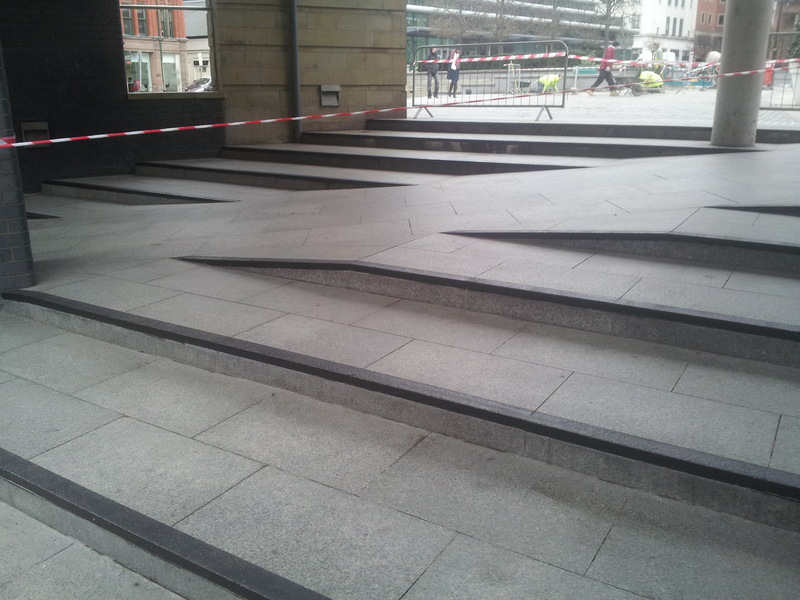 Each step edge was masked off and a high build, hard wearing, fast curing liquid applied resin was applied. 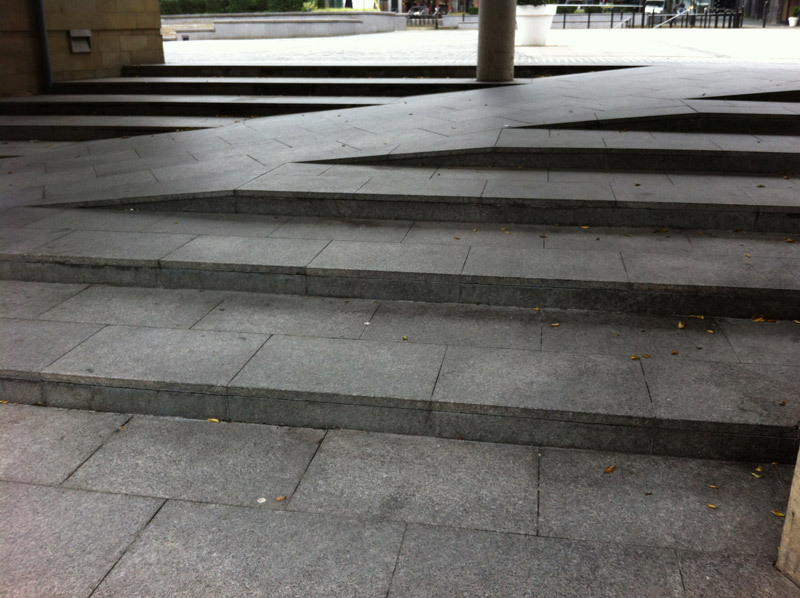 Anti-slip bauxite particles were incorporated into the surface of the coating to increase the slip resistance of the surface. 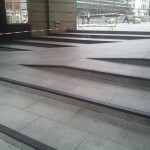 The black finish to each step nosing now clearly highlights the edge of each step improving safety for pedestrians.